Some people find it uncomfortable wearing in-ear headphones for long periods of time. 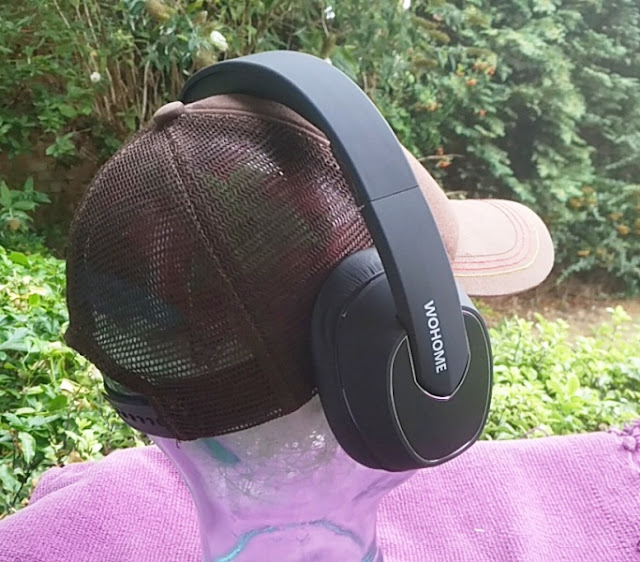 If you are part of that crowd, you should consider an over-the-ear style like the Wohome folding headphones with active noise cancellation particularly for long-haul flights. 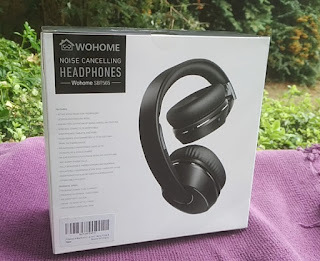 The Wohome headphones have a noise cancellation rating of 20dB which is a rating on par with noise reduction earplugs. 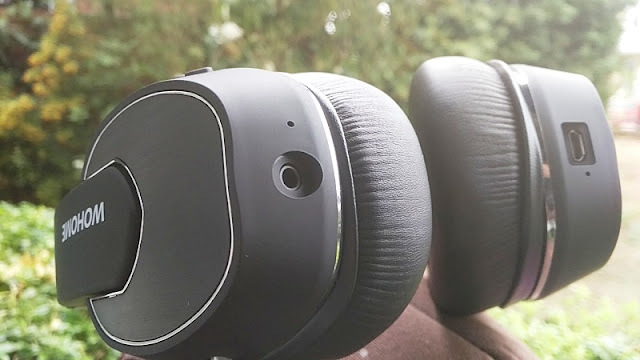 Over-the-ear headphones on their own do a good job already at passively blocking outside noise thanks to the earcups which seal the entire ear as opposed to sealing the ear canal like in-ear headphones do. 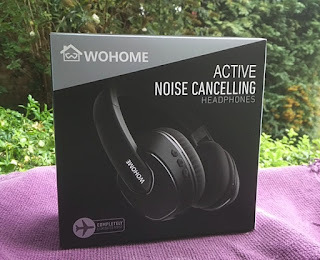 Having the active noise cancellation (ANC) feature on the Wohome headphones makes the noise reduction even better. 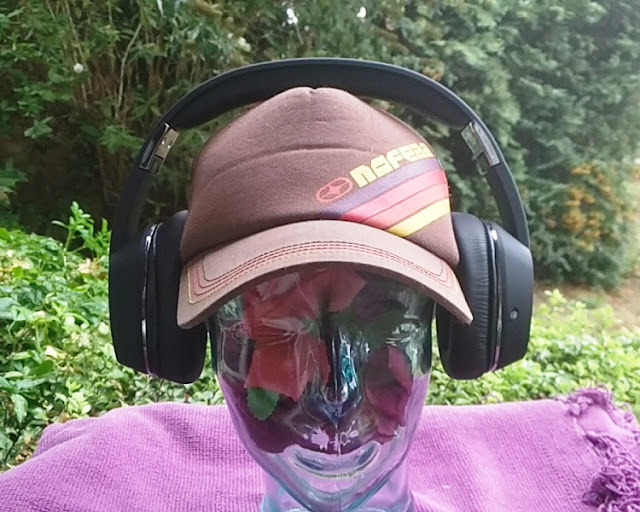 Active noise cancelling comes particularly useful when commuting to work on the train and you want to drown the noise of people talking in the background. The ANC switch is located on the back of the left ear cup You simply slide the ANC switch left or right to turn it on and off. A blue led light comes on when the ANC switch in turned on. 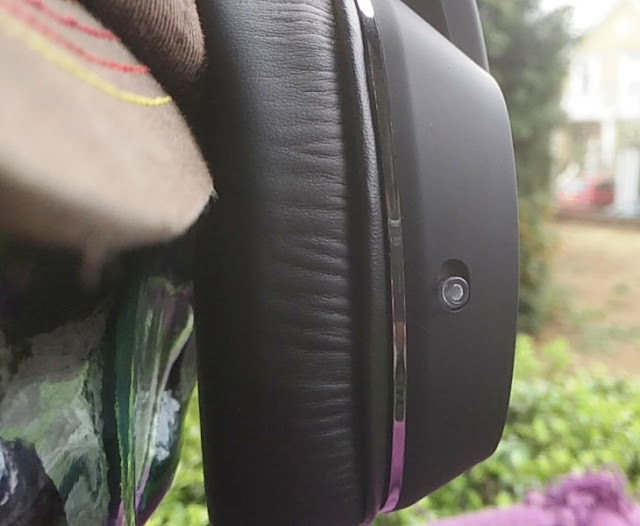 The built-in 40mm neodymium speaker drivers really drive the volume sound delivery with very deep bass and clear treble. The pinhole you see on on the left of the image below is the built-in microphone. The pinhole on the right is the charging led indicator. 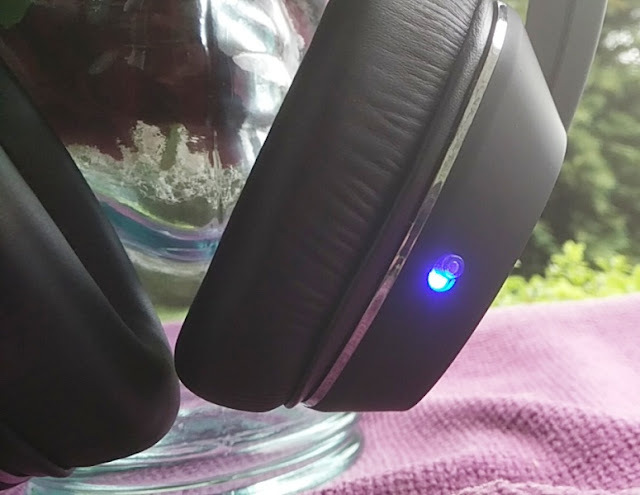 The Wohome headphones are both wired and wireless headphones so you get best of both worlds. 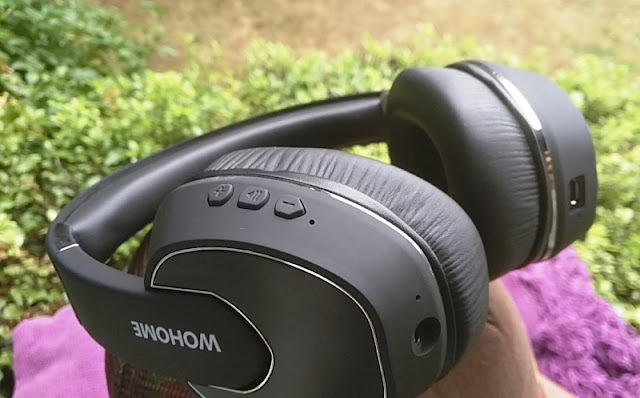 When connected wirelessly, the Wohome headphones deliver the audio stream via Bluetooth 4.2 A2DP which is the standard bluetooth codec, delivering low/medium resolution audio. 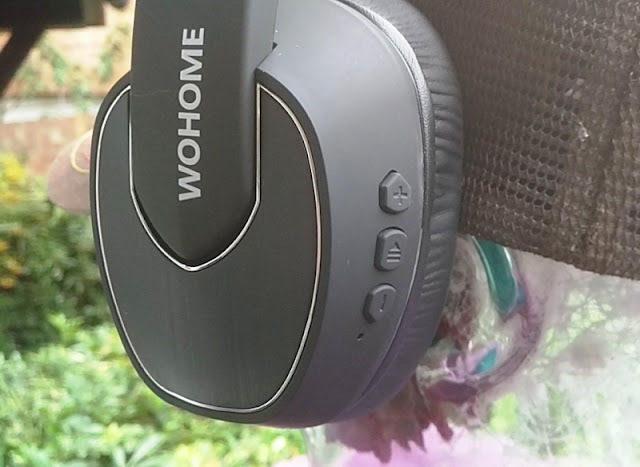 While the audio quality isn't high resolution, the Wohome headphones do have high sensitivity (105dB) so audio is clear. 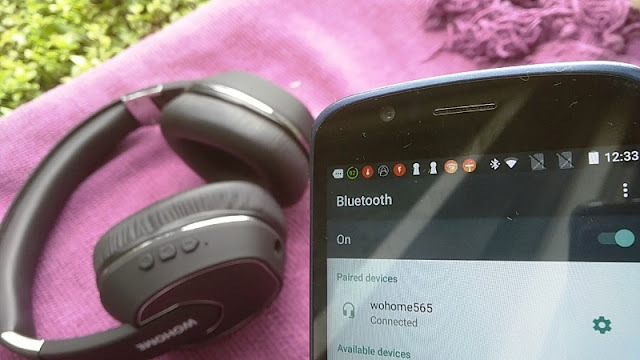 There is a nifty way to boost the audio quality of the Wohome SBT565 headphones and that is by using a bluetooth receiver such as the FiiO BTR3 or EarStudio ES100! 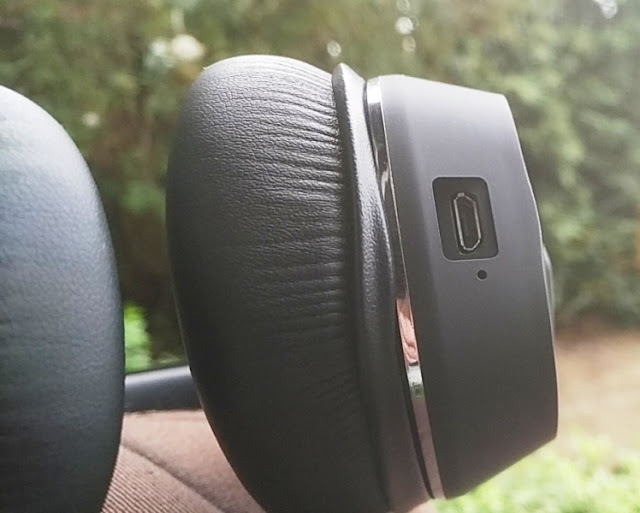 Talking about bluetooth codecs, the Wohome headphones also feature three bluetooth profiles (AVRCP, HFP and HSP) which give you full remote control of the audio playback and hands free calling. The bluetooth signal range is strong at approx. 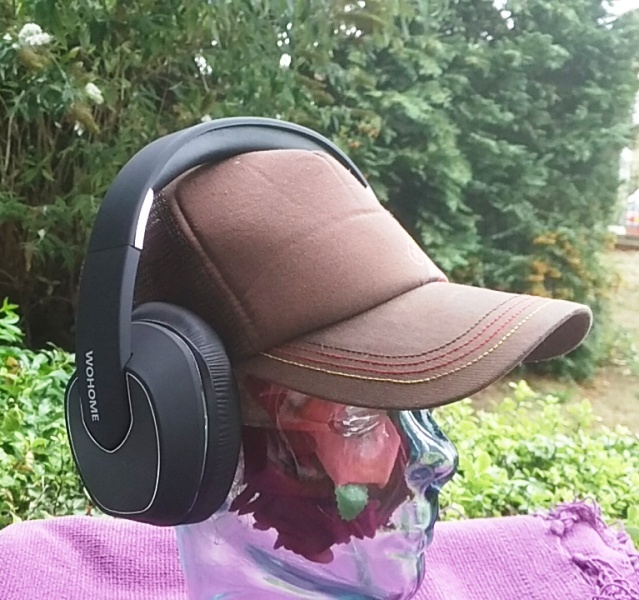 30 feet (9 meters) in direct line of sight so you don't have to be close to your smartphone when listening to music. 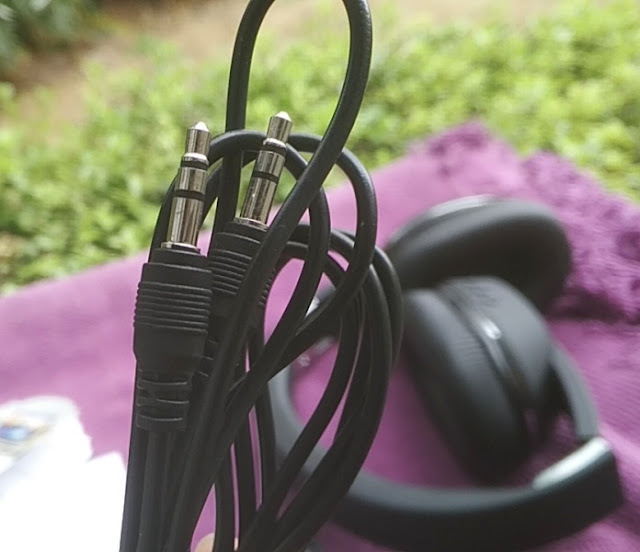 When connected via audio cable, the audio quality gets better. 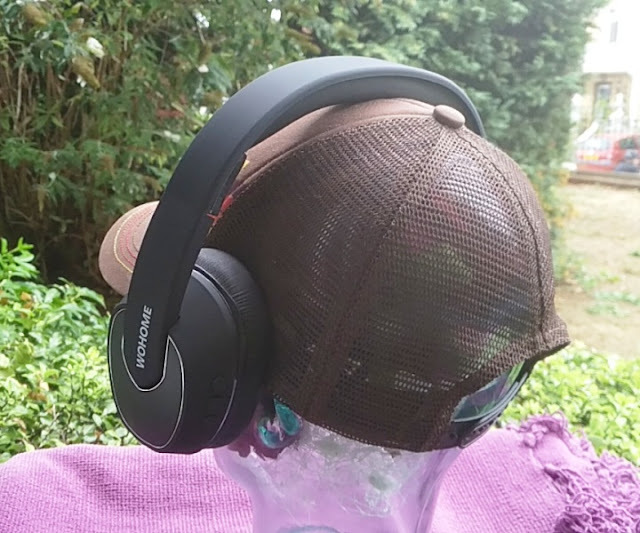 The 3.5mm audio socket is located on the bottom of the right earcup so you can plug in an audio cable and listen to music in wired mode. 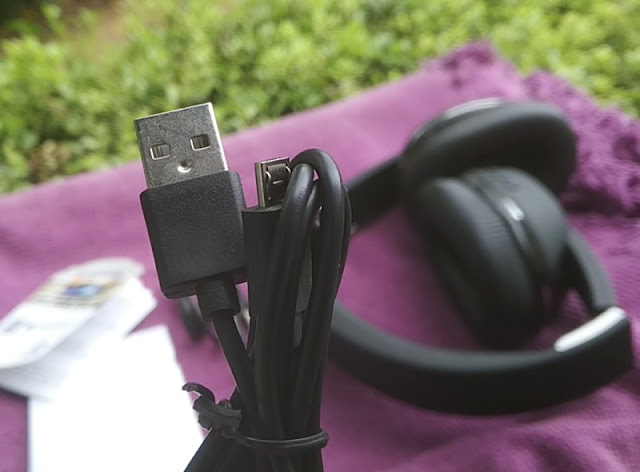 An audio cable is supplied with the Wohome headphones as well as a micro USB charging cable. 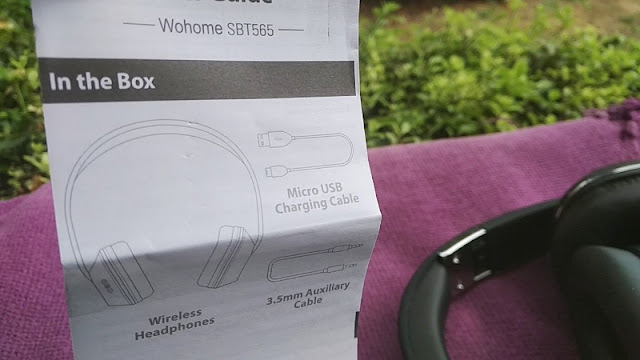 Speaking of charging, the Wohome headphones have built-in to them a 500 mAh rechargeable battery which takes 2.5 hours to fully charge via a 5V 200mA charger. 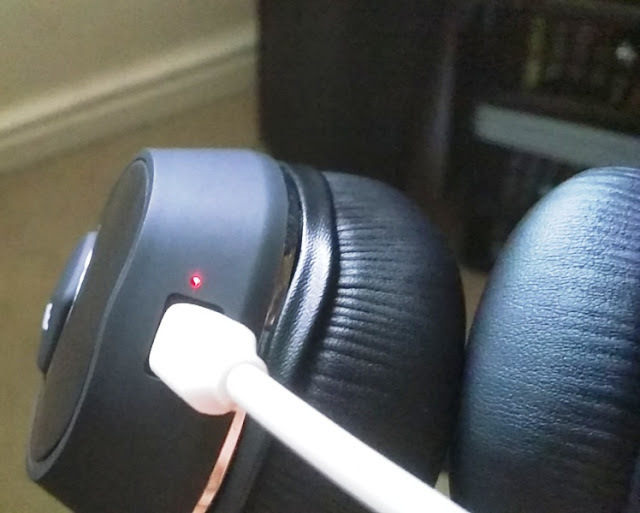 A full charge can power the headphones for almost an entire day (21+hours) when listening to music at 50% volume and with the ANC turned off. With the ANC turned on, battery life is decreases to 16 hours, which is still pretty good. 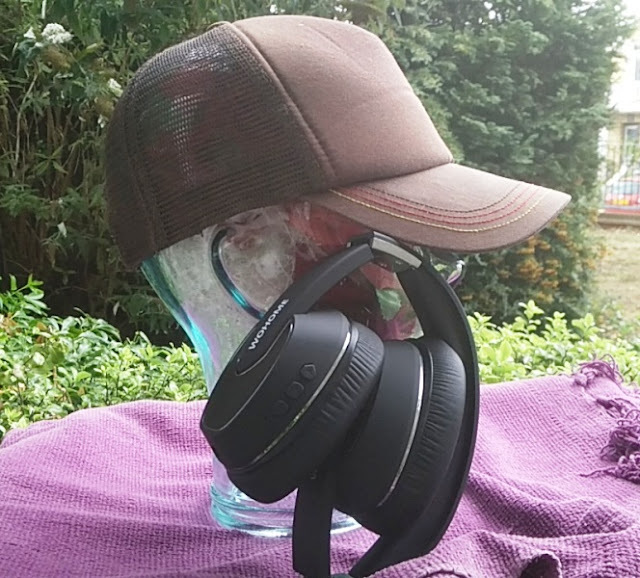 The Wohome headphones earcups have comfortable, soft foam padding which feels nice when the earcups are pressed over the ears. 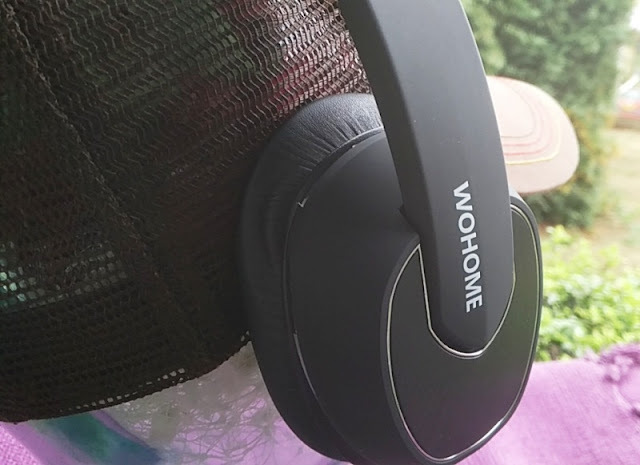 It's also nice that the headband doesn't clamp too hard so you can wear the Wohome headphones for many hours without ear fatigue.